Steve graduated from Hampden – Sydney College in Virginia with a B.S. Degree in Psychology. After moving to Michigan he earned his Masters of Science in Clinical Psychology at Eastern Michigan University in Ypsilanti. As a Board Certified Clinical Psychologist he was employed at the Mental Health Centers in New Hanover and Ashe counties in North Carolina where until 1994 he provided psychological consultation for the Department of Social Services regarding family reintegration and as a Counselor for sexually abused children. As a member of Alliance Bible Fellowship in Boone, N.C., he served 3 terms as a Deacon and was involved in various youth and children’s ministries. Steve built his own home and is currently doing home remodeling projects for others and Beekeeping. He and wife have two children and enjoy being grandparents. The Shackelfords have been friends of Bill and Jackie for many years and they find Bill’s dedication to provide and improve electrical service and hospital equipment to mission hospitals in developing countries inspiring. 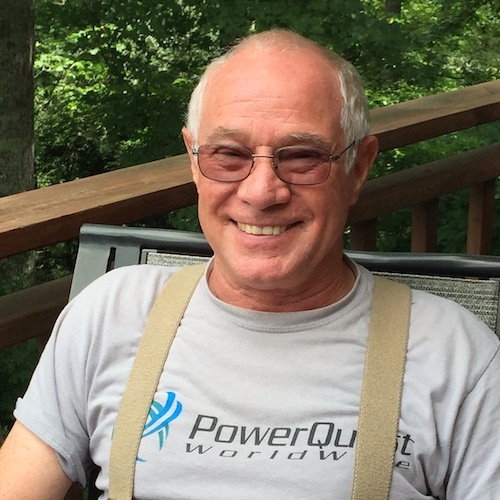 Steve feels honored to serve on the board of PowerQuest WorldWide.